If your little girl wants to pierce her ears, this can make for a great Christmas gift. Let her pick out the earrings of her choice – just make sure her first pair is hypoallergenic (i.e. pure silver or gold) to prevent infections. Costs vary depending on the earrings and whether you choose to have it done at a piercing shop or your local chemist. Board games can help girls channel their intense need to communicate into something fun for the whole family, or even redirect any melodramatic energies into teamwork games. Our picks for Christmas 2016 for competitive games are Frozen Disney Pop Up Magic ($12), Rory’s Story Cubes ($15); and for cooperative teamwork games we would choose Castle Panic ($59), Forbidden Island ($13), or Pandemic ($25). For the music lover in your family, headphones don’t have to be expensive to look cool ($19 from JB HiFi). For the girls who want to make their own music, there are toy ukuleles in fun colours ($40 from Toyworld). 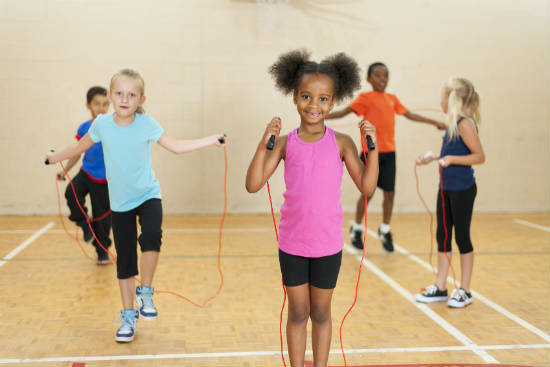 For active girls, the tried and true classic – a skipping rope – never fails. They come in all kinds of colours these days, from lighting up when you skip ($7 from Target) to black and gold for a more sophisticated look ($15 from Cotton On Body). If you can’t affordable a real trampoline, a trip to the trampoline parks at Dialled Indoor Tramp Park, Mega Air or Uptown Bounce has the same effect at a cheaper price ($10 to $20 depending on age). 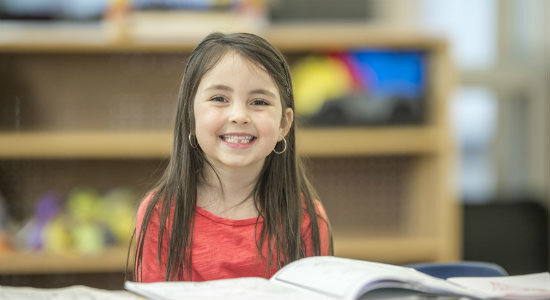 To keep them interested in reading for fun, not just for school, primary school aged girls usually love the Anne of Green Gables series by L.M. Montgomery, Ballet Shoes by Noel Streatfield, and I Capture The Castle by Dodie Smith. Young girls love a good crafts project, such as paper dolls where you can decorate the doll with different paper clothes and hairstyles. 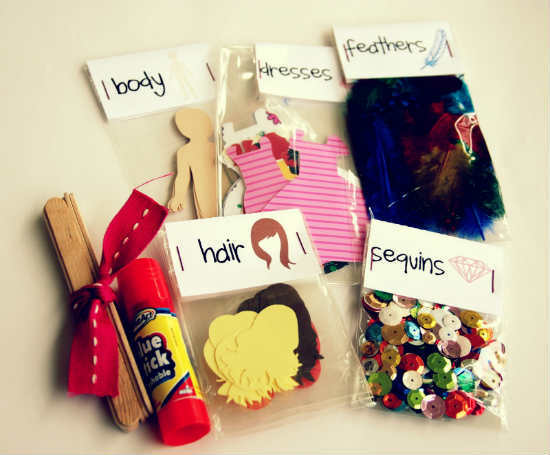 Don’t pay for a box of the pre-made paper doll fashions – you can easily make your own box of paper dolls and bits and pieces for your girls to create their own outfits and hair-dos (see this tutorial from Grey Luster Girl). Jewellery is easy to DIY. Loose buttons can be turned into bracelets (see tutorial from Pop Sugar). If your girls love hair accessories, you can DIY her some flower bobby pins (see tutorial below). You can even DIY your own jewellery organisers for her to store them in, using a candlestick and a small dish or bowel (see tutorial from A Bubbly Life). There’s also a lot of new Star Wars fans growing up thanks to the latest movies. 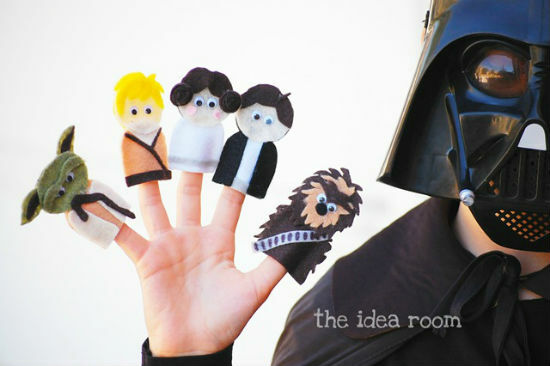 You could make some DIY finger puppets of the characters (see tutorial from The Idea Room), or even their own Rey outfit (see tutorial from Holidappy). Finally, for the superhero girls out there, you can DIY Avengers pillowcases (see this tutorial from All For The Boys). Simply make a stencil of the character you’d like to depict – e.g. the Iron Man helmet, or Thor’s hammer. Alternatively, you can DIY any superhero cape they would like (see tutorial from The Pleated Poppy), with a superhero mask to match (see tutorial from Homemade Gifts Made Easy). If you want your gift to have an impact for girls in the poorer regions around the world, try the Oxfam gift shop. The designers and manufacturers on Oxfam Australia are all small businesses whose workers benefit from fair trade working conditions and pay, which is the kind of thing that builds communities and makes them more resilient. When you’re buying Christmas gifts for the girls in your life, don’t rack up a credit card debt and spend the rest of the New Year regretting your Christmas debt hangover. Use your everyday transaction account so you know exactly what your budget is, how much is left in your account for your usual weekly expenses, and so that you don’t pay interest on your gift purchases.